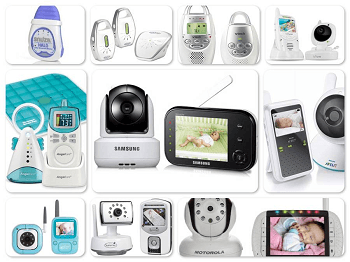 Elf on the Shelf Ideas and Review - it's BABY time! You may be familiar with the Elf on the Shelf that comes out around Christmas time. Last year we got one for our daughter because we figured she would be old enough to understand the concept of it and it was becoming quite popular. If you haven’t heard of it before it’s an elf that you take out and he ‘watches’ over to see if kids are behaving then reports back to Santa while they’re asleep. 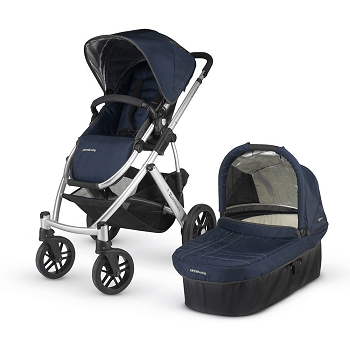 Think of it as somewhat of a christmas present for Mom and Dad that gives a child more incentive to be on their best behavior for Santa. I’m always up for trying new things and I thought this was such a neat idea for the kids. 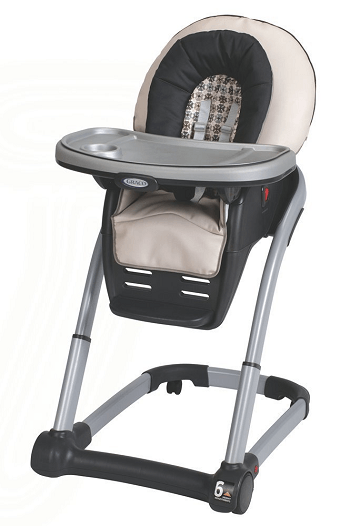 Whoever came up with it was really smart because nearly every mother I know with a child 2 years and over owns one of these. So here is my review along with some cute Elf on the Shelf ideas. 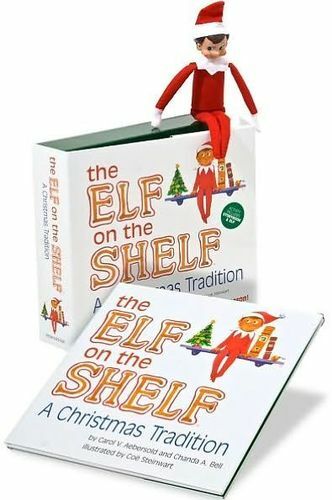 The Elf on the Shelf has recently become a popular christmas tradition among households. It comes in a box with the elf and a hard cover book that tells the story of the Elf. Santa sends out his elves at christmas time (usually a couple of weeks before Christmas Eve) and they watch over during the day. At night the elf reports back to Santa on how the day went and if they’ve been naughty or nice. When he returns, he’s in a different place. He may be hiding or in plain sight doing something silly. Your child can choose the elf’s name and once the elf is set in place children must not touch him or he’ll lose his magic. Last year they actually had a cartoon that was played at christmas time about Elf on the shelf. It is fun for the kids as they grow in anticipation for the big morning and love searching for the elf each day to see where he is. Quite honestly, it was fun for us too. My husband and I would take turns relocating him, getting creative at how we would position him. My daughter loved it. It’s become a tradition in our household as well. By next year our son should be able to participate along with it too. The elf makes a long-lasting tradition because it’s not really meant to be a toy. You take it out once a year and rearrange him for a few weeks then he goes back in the box until next year. This also makes it so children don’t grow tired or bored with him. Now has this worked in terms of our daughter’s behavior? Maybe. I find it’s a little more effective than just saying ‘You better be good for goodness sake, because Santa’s watching.’ This gives them a visual and a sense that they really are being watched by Santa, plus it’s creative for parents and kids alike. My niece went along with it until she was 11 years old. Once your child outgrows the Santa stage, you’re pretty much on your own. There is even a girl elf that I’ve seen now which quite frankly I wouldn’t buy. The doll itself looks the same as the boy doll and the skirt doesn’t even come with it. It’s sold separately! The main difference is the character in the story. Honestly I think the boy elf would be perfectly fine for either boys or girls, and if they really wanted to you could just put a barbie doll dress on it and boom, it’s a girl! Also, continue reading for Elf ideas. The only problem is that sometimes my husband or I will forget to move the elf. This mainly happened when he was in one of his ‘hiding spots’ where he wasn’t very obviously visible. If you do happen to forget like we did, we’d say “I guess Ralphie didn’t see too much of anything worth reporting that he just decided to stay”. 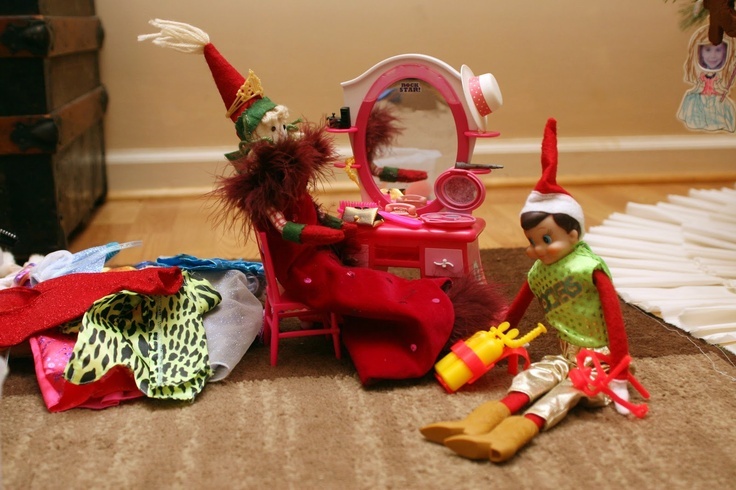 Here’s what some other moms had to say about their experience with their elves for their kids. Note that these reviews have been paraphrased for your convenience. You can read the full reviews here. “I was sorely disappointed. 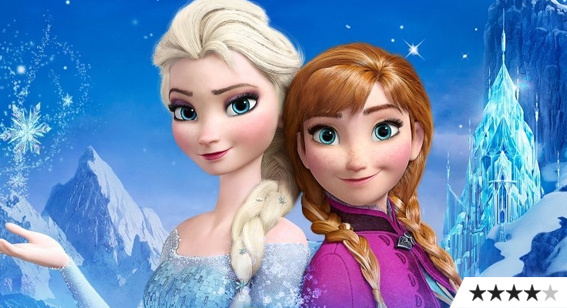 The premise is kind of cute but the story is fairly mediocre. The elf doesn’t sit up by itself. To address those that have said it gave their children nightmares and the thing looks creepy, I have to admit that the makers could have made him a little more friendly looking. The doll does have a creep factor to it. My daughter really liked it and most of my friends who have it have said the same, although if your child does get easily scared I would recommend reassuring them that it is a friendly elf that works as Santa’s helper to remind kids to be on their best behavior. It may not be for everyone and each child is different in how they react to certain things. I did read one parent that loved the idea but their child had no interest in it. I would certainly recommend it based on my experience, however it’s completely up to you in how you feel towards the concept. One minor issue that comes up is remembering to move the elf every night. 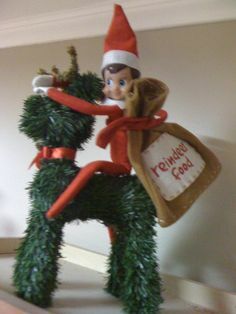 We had fun with this, however by thinking up and seeing others create clever ways to relocate the elf. 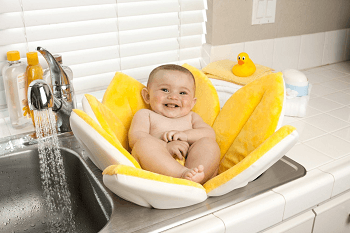 You can do so many different things with him so I thought I’d share them with you because it really does make it fun for both kids and parents. This one was pretty common. 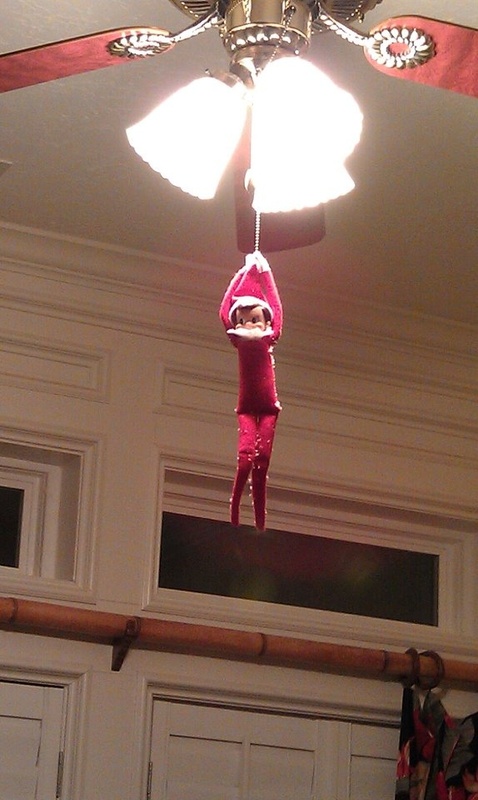 You pick a light or fan fixture in the house and arrange the elf on the pull string in a way that is secure so he won’t fall. The hands on the elf came sewn together, which helps with certain positions. Just be cautious if you do use the fan or the light while he’s on it so you don’t end up with a traumatized child who thinks you killed it because he fell! This is a cute idea where your kids can catch the elf with their hands in the cookie jar! If you have a jar or container of some kind that you keep little holiday treats, such as Kisses, you can fix him so that he’s in it or hanging over it with the cover on the side like he opened it! 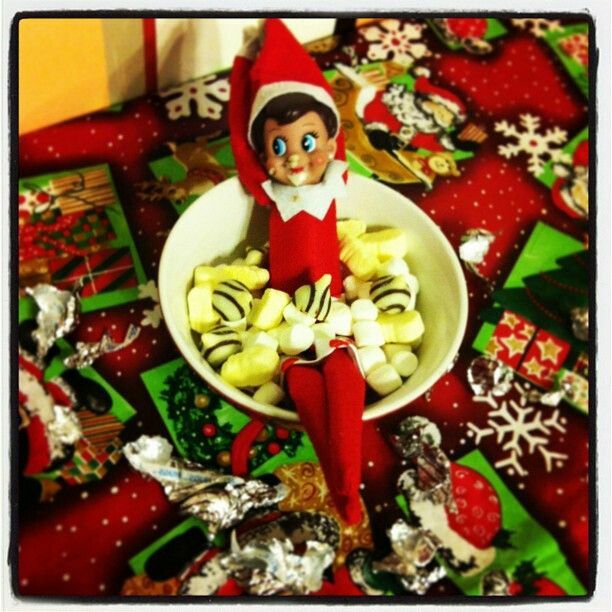 While you’re at it, you might even have one or two of them yourself then leave the wrappers crinkled up beside the elf so it looks as if he helped himself to a little midnight snack. If your little girl has barbie dolls, you can have a little fun with your elf by dressing them up silly with mismatched pieces from Barbie’s wardrobe. You may have to cut the hands apart to do this, so if you’re unwilling to separate them then this may not be a good idea unless you can do just a skirt. You could also take one of their Barbies and place her alongside the elf like they were having a fashion show or just hanging out together. Do keep it clean, though. I’ve seen some parents being a little naughty with their elf on the shelf ideas. There are so many things that can be used as props such as christmas decorations. We have a little snowmen sleigh figurine that has three snowmen sledding together that we had placed our elf on to appear as though he was hopping on for the ride. The legs bend easily and with the hands sewn together you can arrange him to sitting or wrapping his arms around different things. I’ve seen a lot of different ideas with toilet paper. 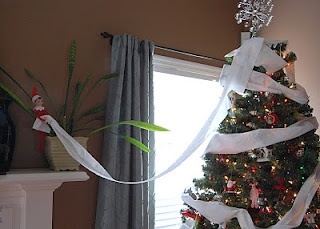 Our cousins took toilet paper and hung it from their light fixture to different things that were nailed on the wall and fixed the elf sitting atop a large picture frame with the toilet paper ending in their arms. This is a really fun idea if you’re not expecting company over and don’t mind picking up afterwards. The possibilities are endless. Many parents like to play tricks with the elves like writing on the bathroom mirror and placing the elf nearby with a marker in his hands or replacing photos with pictures of the elf. If you do decide to get an elf on the shelf for your child you can find hundreds of ideas or even ask friends you know who own one what they’ve done. It’s a lot of fun and I’ve even shared stories with other moms about the things they’ve done with their elves.